Essential Qualification: i. B.Sc. (Nursing)/Diploma in nursing. ii. 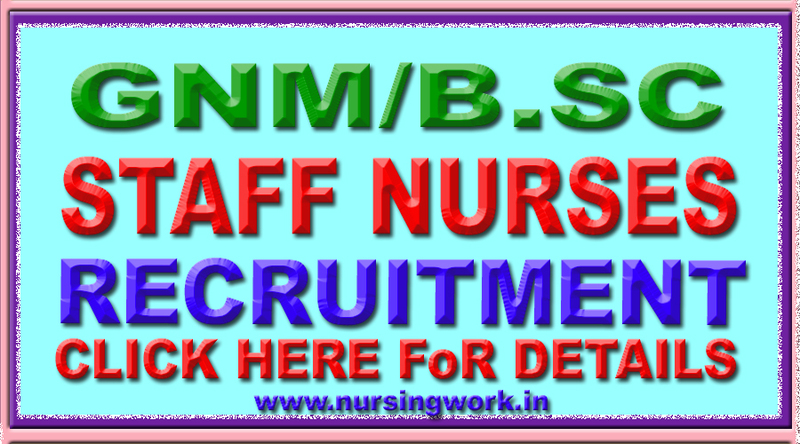 Qualification of Staff Nurse must be registered with State Nursing Council of India. iii. Working experience of 6 month (for B.Sc. Nursing) or 1 year (for Diploma in Nursing) in a recognized hospital. D.Q. – Experience of working in Geriatric Ward. Desirable Qualifications: Candidate having experience of working in Neonatal/Newborn Care Unit (6 months for B.Sc. Nursing and 12 months for Diploma in Nursing) will be given preference.